Yes, I know! The title of this post is true. 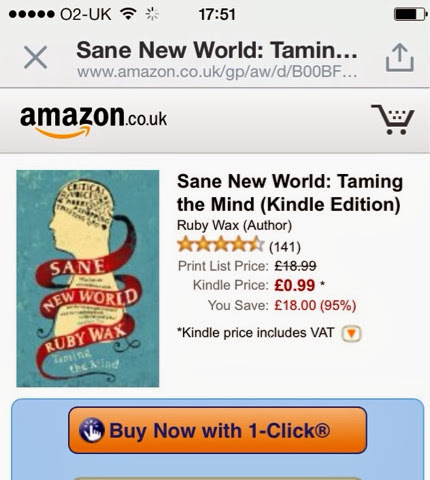 I just checked and you can buy (at the time of typing) Sane New World for your Kindle for only 99p! What are you waiting for? Cheaper than going to Poundland!